Please note: due to road damage following heavy rain in March 2019, this trip is not operating during April 2019. For any bookings for May 2019 onwards please contact our reservations team on +64 3 752 0763 for the most up to date information on this trip. 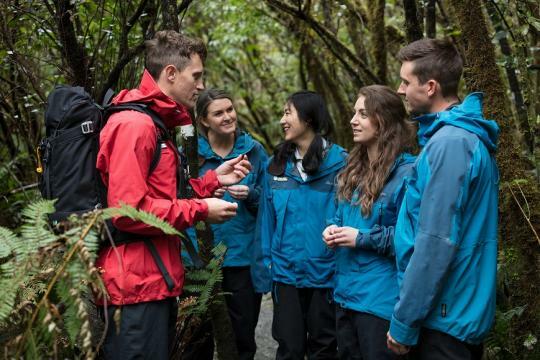 Hike the ancient path of where the glacier once stood; through lush rainforest and alongside the Waiho river. Discover the legends and history of the glacier and learn all about the flora and fauna you encounter along the way. Experience pristine waterfalls, ancient temperate rainforest and the dynamic Waiho river. After a brief climb you will be rewarded with views of the glacier’s constantly changing terminal face and enjoy a well-deserved hot drink. A leisurely pace through a remarkable landscape with plenty of photo opportunities. * Please note for May 2019 bookings only: Due to road damage, operation of this trip may be compromised during May. Please contact our team on 0800 484 337 or +64 3 752 0763 for the most up to date information on this trip. It’s awesome being able to pass on my knowledge of this unique and beautiful environment, and to share the legend of Kā Roimata ō Hine Hukatere with our guests. " 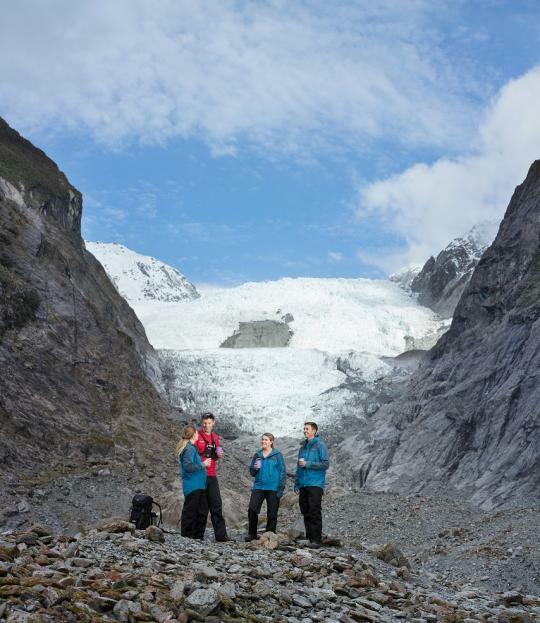 Our Glacier Valley Walk can be tailored to suit most abilities and interests. Because our Glacier Valley Walk is based on the valley floor, rather than up on the ice of the glacier, this trip is suitable for a wide range of abilities. The track we take covers varied terrain including lose rocks and uneven ground as well as well-formed paths through the rainforest. We provide sturdy walking boots and trekking poles if required, however, most of our guests have little difficulty navigating the terrain. Your experienced guide will be sure to find the most suitable route for your trip based on the ability of your group. Most of your Glacier Valley Walk will take place across reasonably flat ground with just a short climb of 200 metres to access the view point of the glacier terminal face. If you're comfortable walking for an hour or two with frequent stops then you will most likely be capable of participating in this trip. 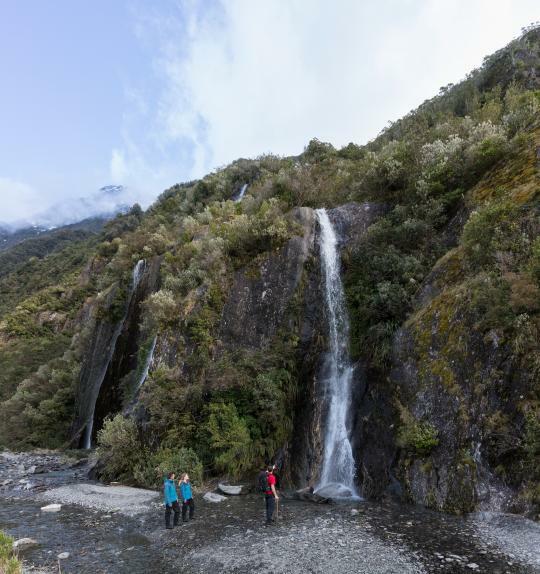 Get the most out of your Franz Josef Glacier Valley Walk. We want all of our guests to have the best possible time on our Glacier Valley Walk experience. We provide all the gear and equipment you need to stay warm, dry and safe while exploring the valley floor and ask that you come prepared with suitable clothing and accessories that will keep you comfortable as well. Excellent knowledgeable guide. Good to get access off the main track. And good hot chocolate! It was a highly unique experience with excellent local and geological information provided by the guide. In addition to this, our lead guides may need to restrict guest participation on a Glacier Valley Walk based on the specific conditions of the glacier valley on the day. Our front line team are always happy to provide an update on conditions on the morning of your trip. The dramatic weather that shapes our beautiful landscape on the West Coast can also impact the ability to operate our experiences. The Glacier Valley Walk operates in most conditions including rain, although occasionally we will have to cancel a trip if extremely bad conditions or high winds are forecast. We will not compromise the safety of our guests or staff in any circumstance, so if the weather conditions mean it's not safe to operate a trip we will cancel it. All trips cancelled due to weather will be refunded in full and you'll be notified by email on the morning of your trip if it is cancelled. You are welcome to come into our glacier base building to reschedule your trip or arrange your refund directly with our friendly reservations team. The weather is incredibly changeable in our region and we want to give you the very best chance of getting onto your trip. Therefore, we make the final call as to whether a trip is going ahead on the morning of your scheduled trip departure.